Buffalo Sabres general manager Jason Botterill is ramping up as he, like his fellow GM's, have a very busy couple of weeks ahead. The NHL is set to announce the 2018-19 salary cap sometime this week and the 2018 NHL Draft takes place Friday and Saturday which is quickly followed by the "interview period" next Sunday as teams may begin talking with unrestricted free agents. On Monday June 25 teams must tender qualifying offers to their restricted free agents then the following day another "interview period" begins with RFA's being allowed to talk offer sheets with other teams. The buyout window closes on Saturday, June 30 and July 1 heralds the beginning of free agency where unrestricted free agents are free to sign with any team. While we were busy with the 2018 Mock Draft, Botterill did get things rolling with some moves and some Sabres-related chatter this past week. Time to play a little catch-up with thoughts on Sabres-related moves. Botterill talks with WGR550's Paul Hamilton on a few subjects. --The GM implied that there probably wouldn't be any changes to a coaching staff on a last place team that was wretched at times, mostly at home where Botterill was said to take out his frustrations on tables, doors and an unsuspecting taco bar. However, the status quo shouldn't be completely comfortable in their positions as Botterill left some wiggle room. Last month Alexander Nilsson, who covers hockey in Sweden and follows the Sabres tweeted the following, "Sabres is interested in bringing in Sweden men's national team head coach Rikard Grönborg according to Sportbladet. Carolina also interested. Unknown in which capacity. Grönborg has one more year on his contract with the Swedish Ice Hockey Association." Grönborg just finished coaching Team Sweden to their second consecutive IIHF World Hockey Championship and the dual Swedish/U.S. citizen isn't opposed to moving back to the States. With Buffalo projected to draft Swedish defenseman Rasmus Dahlin first overall on Friday and with their recent signing of SHL Defenseman of the Year, Lawrence Pilut, it makes sense that they'd be interested in the former St. Cloud State defenseman, but in what capacity? Changes should be made to coaching staff after the terrible season the team just went through, and with all due respect to assistant coach Chris Hajt, that defense was a mess as he looked way in over his head. But bringing in Grönborg this season as an assistant might put too much pressure on Housley, who's entering his sophomore season as a head coach. 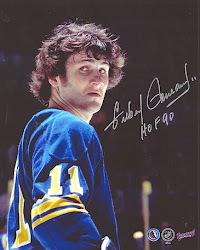 Until Grönborg signs somewhere else, it's a name to keep an eye on, possibly as head coach in Buffalo should Housley not make adequate year over year progress. That means Matt Moulson and his $5 million contract are on the books for one more (probable AHL) season. It also means that Zach Bogosian and the two years remaining on his $5.14 AAV contract are here for at least this season and players like Zemgus Girgensons and Johan Larsson will be playing out the remainder of their deals this season. Barring trades, of course. And that's the way it should be this year. The Sabres don't need the cap room so why bother? --Botterill also brought up a name that we thought was a one-and-done in Buffal0--defenseman Victor Antipin. Last we saw of Antipin on the ice was him literally laying there after being plastered into the boards by Nashville's Scotty Hartnell in a boarding play that went unpunished. Antipin was stretchered off the ice, missed the final four games and it was thought he was back to Mother Russia to play in the KHL. Perhaps he'll have another opportunity, maybe even with the Sabres. Or at least in Rochester. Too bad his one-year free agent deal had an option to head to the KHL should he be sent to the AHL. He needed time to adjust to the North American game. It would be worth taking a shot on him as long as he starts in Rochester. Former GM Tim Murray's first trade for the Sabres (and his first as a general manager) sent defenseman Brayden McNabb, forward Jonathan Parker and two second round picks to the LA Kings for forwards Hudson Fasching and Nic Deslauriers, whom he described as "heavies." It turned into a bad trade for the Sabres as neither Deslauriers, who was traded to Montreal this past season, nor Fasching, who was just traded to the Arizona Coytoes, are with the club. McNabb played a top six role for the Kings before he fell down the depth chart and was left unprotected by Los Angeles in the 2017 expansion draft. The Vegas Golden Knights snatched him up and he played top-pairing minutes for the 2018 Stanley Cup runner-up. The two second round picks Buffalo gave up in the trade were the two second rounders the Kings had previously traded to the Sabres for defenseman Robyn Regehr. In 2014 defenseman Alex Lintumiemi was selected 60th-overall in the draft and has spent the last two seasons with the Ontario Reign, LA's AHL affiliate. Defenseman Eric Cernak was selected in 2015 (43rd-overall) by the Kings and his rights were traded to Tampa Bay in the Ben Bishop trade on February 26, 2017. Fasching was a forward that ended up in the wrong conference at the wrong time. The Kings won the Cup in 2014, their second in three seasons, with strong goaltending and a very Western Conference, heavy-style team and Murray was locked into that style when he made the trade. Also at the time of the trade the Sabres prospect pool was heavier on defense than it was on forwards, so he pulled the trigger. 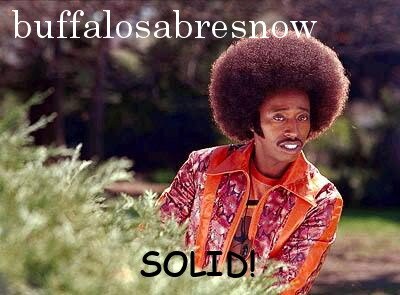 Regardless of the circumstances and thought process involved, it was a bust for the Sabres. Even though McNabb is usually overrated by many Sabres fans because of the terrible seasons Buffalo has had, because of the hate directed towards Murray and/or maybe because everyone traded away is looked at as upper-echelon simply because Buffalo never can do anything right, they lost this one. Even if the other parts of the trade never make it to the NHL. Coming back from the 'Yotes in the trade are the rights to BU defenseman Brandon Hickey and unrestricted free agent Mike Sislo. “We would’ve been qualifying [Fasching]," said Botterill to Hamilton, "but with players like Justin Bailey, Nick Baptiste, bringing in Danny O’Regan, bringing in Andrew Oglevie, we felt we had an abundance at right wing and we’ve looked to try to bring in more defensemen and continue to work with them. Luukkonen's contract is a three-year deal worth as much as $2.775 million which may slide next year should he stay in Finland, which is likely. Buffalo has a really thin goalie pool right now with Linus Ullmark (2012, 163rd) getting the call to Buffalo full-time this season and Jonas Johansson (2014, 61st) as the only goalies in the system drafted by the Sabres. Ideally Buffalo would have a third rounder this year to use on a goalie but they'll need to make due with a fourth-rounder. Perhaps any trade concerning Ryan O'Reilly will include an additional second or third rounder that they can use to add a goaltender to the system. Yup, it wouldn't be a blog with out a ROR mention. The Montreal Canadiens, who seem to be the hottest destination for the top-six center and they made a trade this week sending Alex Galchenyuk to the Arizona Coyotes for Max Domi. It's a trade that really has nothing to do with O'Reilly as the Canadiens still need a top center, but it was worth mentioning. Domi scored nine goals last season for the 'Yotes, four of them empty netters. For a little perspective, Girgensons had seven goals, zero empty-netters. Happy Father's Day to all the Dad's out there. I'm very thankful for my children who are the best a father could hope for.